All of our teachers are passionate about music and guiding children on their own musical journey. They create a fun, informal, social setting that spurs engagement and supports each child's musical development! 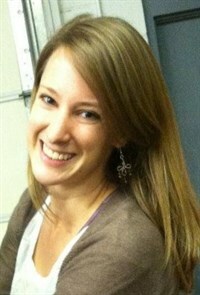 Heather received her Bachelor's of Music Education from the University of Dayton. Since graduating, she has taught various children's music classes, private piano, and World Drumming courses at The Piano Preparatory School in Beavercreek. She also taught for two years at a Dayton area charter school and currently teaches elementary general music at Five Points Elementary in Springboro Community City Schools. This is Heather's fourth year as a Music Together® instructor and third year as Center Director, and it has been one of the most fulfilling experiences of her career. Heather is excited to be Center Director and help bring the wonderful experience of Music Together to the Dayton community! Miss Christina received a Bachelor of Arts degree in Music from Cedarville University. She also studied Music Education with a Vocal Emphasis at Baptist Bible College in Springfield, Missouri where she accompanied numerous soloists, ensembles, and choirs including the Springfield Baptist Community Choir under the direction of Mr. David Giles. Christina has eleven years of experience teaching students of all ages and abilities and enjoys helping individuals become well-rounded musicians. Christina is excited to be a registered Music Together teacher! Miss Kristin received her Bachelor's of Music in Music Education from the University of Dayton. Since graduating, she has taught music to children in a variety of settings, including teaching PreK-6 music at a children's home in Honduras, teaching bilingual family music classes in California, and most recently teaching general music to children ages one through twelve in a child care setting. She is so happy to have joined the Music Together of South Dayton family in 2016! Ever since she discovered Music Together, she has been hooked! She loves its quality, diverse music that keeps you singing the songs long after you hear them. Since having her first daughter in January 2017, she has developed an even greater love of Music Together as she uses the music in her bag of parenting tricks- from singing during diaper changes and bath times, to fussy times and play times, and ending each night with a lullaby. She is so excited to share the beauty of Music Together with you and hopes it will bring your family as much joy as it has brought hers!